When House of K Boutique in New Albany, Indiana offered this gorgeous red jumpsuit for a photoshoot, I said heck yeah! 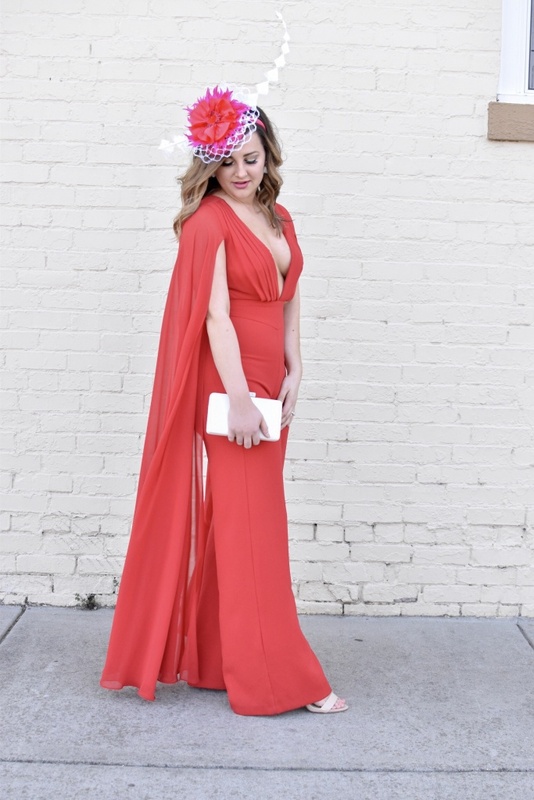 It paired perfectly with the hot pink and red fascinator made by HEADCANDI and fit like a glove. Plus, I have grown a recent obsession with jumpsuits, so it was a must. I always say, a jumpsuit is worn best with confidence. Sometimes, they can feel awkward and bold, but when worn with a sassy smile, you’ll rock the world. 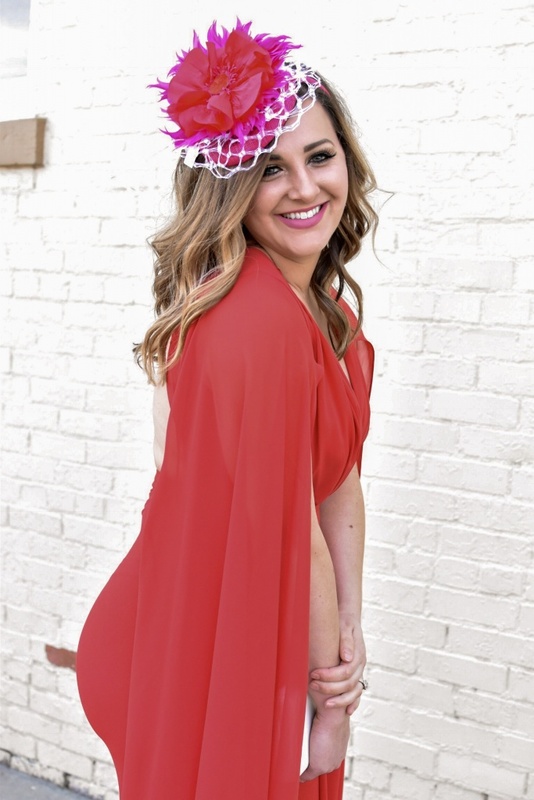 You can shop this fascinator and others by clicking the photo below. And don’t forget, Britni from HEADCANDI is always taking custom orders, so follow the link here to contact her. 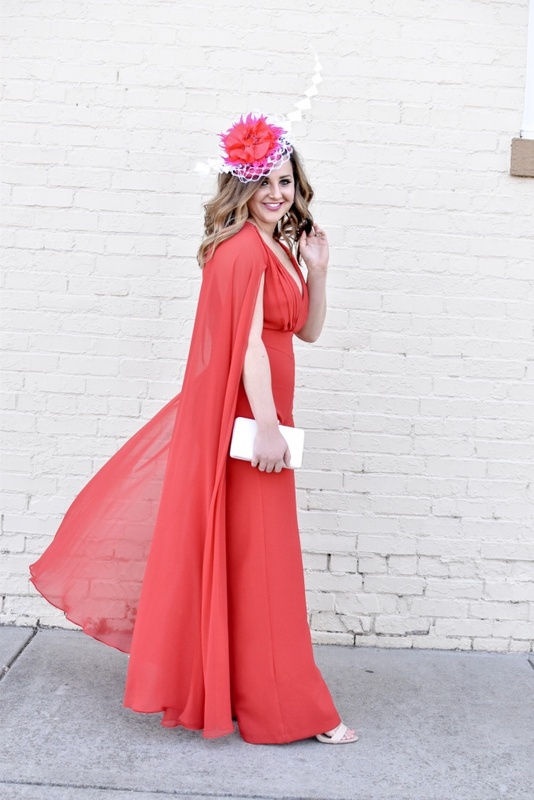 Derby festivities are the best time to take fashion risks- and a jumpsuit can be that indeed! So, I have tagged several options below that would work perfectly to cheer. Plus, they are much more comfortable than a dress can be, and a long day at the track requires comfort!